Home » Starting BJJ » Will wrestling help me in BJJ? Wrestling can definitely help, with the right mindset. The wrestlers I’ve trained with come to the mat well-ahead of other new jiu-jiteiros in terms of their coordination, their positional control, and their endurance. That said, I have seen wrestlers transition into jiu-jitsu successfully, and I’ve also seen them get hopelessly frustrated and quit. The key is a willingness to learn. 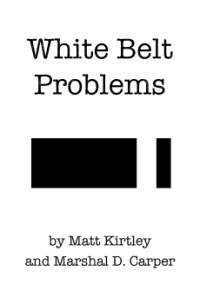 Spending the majority of your lifetime getting good at wrestling only to get choked by some moderately experienced white belts can be demoralizing. For every wrestling habit that makes a wrestler dangerous, there is one that leaves him vulnerable to a silly choke or reversal. The wrestlers that make the successful transition into Brazilian Jiu-Jitsu are the ones that can train through the initial frustration and learn to adapt their techniques to a new rule set. It can be a bit rocky at first, but once they have gotten over the initial hump, wrestlers are very dangerous on the mat. This is why a lot of jiu-jiteiros end up cross-training in wrestling as well. The takedown game alone is a huge asset in jiu-jitsu.